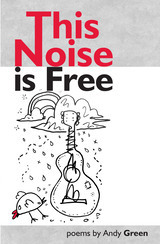 This Noise is Free is a book about buskers and busking, drawing on the author’s experience as a street musician. It’s a front-row seat to the universe, located somewhere between the rainbow and the gutter, between pigeons and gargoyles, slaveholder mansions and charity shops licking their lips. Inspired by Walt Whitman, Charlie Patton, Robert Johnson and Elizabeth Cotten, Andy Green is an unofficial archivist of life on the streets, from Matlock to Memphis, exploring their hidden histories, characters, music and unexpected camaraderie. This Noise is Free is a book about public art, good music, bad weather, and not getting a proper job. now this is real music! how long is it till the bloody football starts? give me back my guitar? 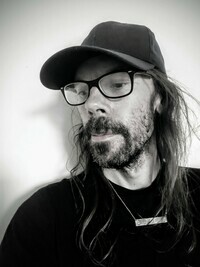 Andy Green is an alt-folk singer-songwriter who performs as ‘Burnt Paw’. He has worked as a library-activist, oral-historian, artist and musician. He grew up in Birmingham, learned to play acoustic guitar in Tennessee and North Carolina and now lives in Edinburgh. His most recent record is Stolen Apples Lost Crowns. His previous book is These Notes Are Out Of Order (Shoestring Press).